All dental treatment carries risks. Individual consultation is required with one of our dental practitioners to ensure that the treatment is right for you. Before an appointment is made, we will take your credit card details. This is to cover us if you fail to attend, in which case an agreed payment will be taken from your credit card. The amount of the payment will be discussed with you when making the appointment. Total price for the Invisable Braces/Aligner treatment will be $6760 subject to approval by Zipmoney over 24 month period. This offer only applies once per patient. Just Smile does not encourage the indiscriminate use of regulated health services. Informed consent will be requested before commencing any dental treatment. Dr Abir Rammo will discuss your treatment expectations and desired outcomes. Rebates for your treatment may vary depending on health fund provider. Just Smile reserves the right to amend, change or remove this offer at anytime without notice. Want straighter teeth but don't want metal braces? Dr Rammo now offers Invisalign and ClearCorrect Clear Braces - an alternative to braces that are Practically invisible. Get your free smile consultation today! Removable to fit into your lifestyle. Payment plans from just $40 a month. Find out about Invisible braces from Dr Rammo. We help people brighten their smiles from all over Sydney including Sutherland Shire, Kogarah, Hurstville, Rockdale, Bexley and Ramsgate. Invisible Braces straighten your teeth without traditional metal braces. You get a series of clear, custom-made and removable aligners that gradually straighten your teeth as you wear them. Each aligner moves your teeth a little bit at a time. The aligners are practically invisible and they’re also removable. You can take them out to eat and drink and clean your teeth. In your first free Invisible Braces consultation Dr Rammo will evaluate your teeth to see if Invisible Braces are suitable for you. If you are a candidate for Invisible Braces, Dr Rammo will take impressions of your teeth. Then he’ll plan your new smile using special dental software. You’ll are even able to see what your new smile will look like virtually! Once Dr Rammo’s planning is complete, his designs and plans are sent to the lab. A set of clear aligners will then be manufactured and customised especially for you. Dr Rammo will explain how often you will need them changed and answer any other questions you may have. How much do ClearCorrect Invisible braces cost? Cost for Invisible Braces varies depending on how much straightening your teeth need and how long your treatment takes. It also depends if you choose to proceed with Invisalign or ClearCorrect. We offer Dental Payment Plans so you can pay for your Invisible Braces with instalments during your treatment. How long does an Invisible Braces treatment take? The more straightening that’s required for your teeth, the longer your treatment will take. Aligners are changed every few weeks, and the number of sets of aligners varies from person to person. Treatment can take anywhere from a few months to a couple of years. Teeth Whitening with Every Treatment! You may feel slight discomfort when you first change your aligners as your teeth adjust to their new position, but that’s it! Invisible Braces are a perfect alternative to metal braces for adults. They’re practically invisible and removable. They are also an excellent treatment for adults who have had orthodontic treatment in the past and their teeth have relapsed. This is very common, and the good news is we can help you get back the smile you loved. At JustSMILE, we have a range of treatments to help you achieve the smile of your dreams. From Invisible Braces teeth straightening to lip fillers, treatment for gummy smiles, Zoom teeth whitening and Porcelain Veneers. See us for a free smile consultation. We’ll create a package to suit your smile and your budget. Not sure if you can afford Invisible Braces? We offer dental payment plans so that you can pay for your treatment in instalments. Now you can have the smile you’ve always wanted, and that fits into your budget. Will my Health Fund cover any costs? Orthodontic treatment is usually considered an ‘extra’ on your health cover. Some of the costs may be covered if you have extras cover. Speak to your Health fund provider and with our friendly team to discover the options available to you. 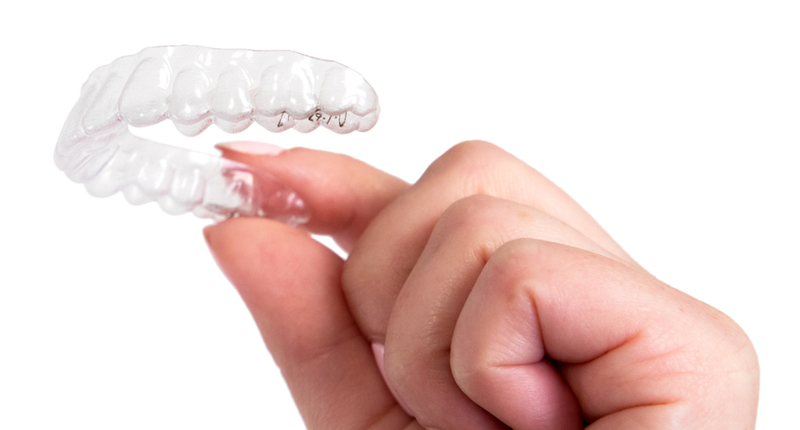 For more information on ClearCorrect Invisible Braces, book a FREE Smile consultation with Dr Rammo at JustSMILE today.